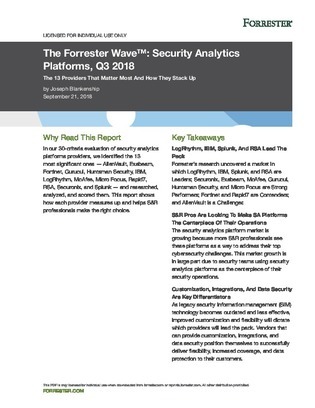 Forrester has covered SIM technology under the umbrella of security analytics for years. Today’s solutions have expanded from purely rules-based detection to include data science methods like machine learning and artificial intelligence. This report shows how each provider measures up and helps S&R professionals make the right choice.